Welcome to Bardonia Chiropractic Office! Located in the heart of Bardonia, the leading health professionals at Bardonia Chiropractic Office are dedicated to helping you achieve your health objectives -- combining skill and expertise that spans the entire chiropractic spectrum from acute care to preventative care. 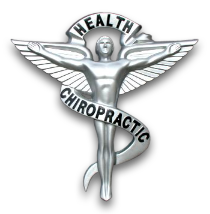 Dr. Paul Lentini and Dr. Ray Joseph are committed to bringing you better health and a better way of life by teaching and practicing the principles of chiropractic care. Physical Therapy - Dr. Ed Kalotkin, physical therapist, of Palisades Physical Therapy, provides one-on-one therapeutic exercises and manual therapy. Appointments for physical therapy are made by calling 845-359-3950. Massage Therapy - Linda O'Donovan, LMT. Linda brings 20 years experience and is a Certified Active Release Practitioner. The technique is used to treat problems that involve the muscles, tendons, ligaments, fascia, and nerves. It’s a perfect compliment to chiropractic care. Conditions commonly corrected and managed at Bardonia Chiropractic and Wellness Center: Headaches, neck pain, "Text Neck", disc herniations, back pain, stenosis, arm and leg pains/numbness/cramping, carpel tunnel syndrome, ankle sprains, shoulder, knee pain, ear infections in children, scoliosis...among many other conditions too numerous to list. Please visit areas of our website to discover and learn about chiropractic care. It's Your Life... Live it Healthy! "Dr. Lentini is caring, genuinely concerned with your progress and wellbeing, and treats you like a person, not a patient. The office staff does an excellent job as well. They are warm and friendly and always willing to help. My husband and I look forward to our weekly visit"